I love shopping for my kids. 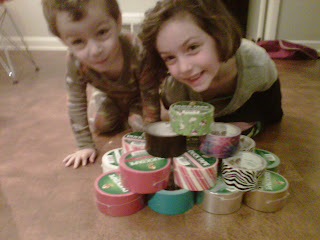 And, as they are now the ripe-old ages of 2, 6 & 8 I've found some really great toys along the way, which I'll share with you all in a series of posts I'm calling Anna's Holiday Gift Guide for Super-Fun Non-Commercial Toys - because what kind of blogger would I be if I didn't have a Holiday Gift Guide? 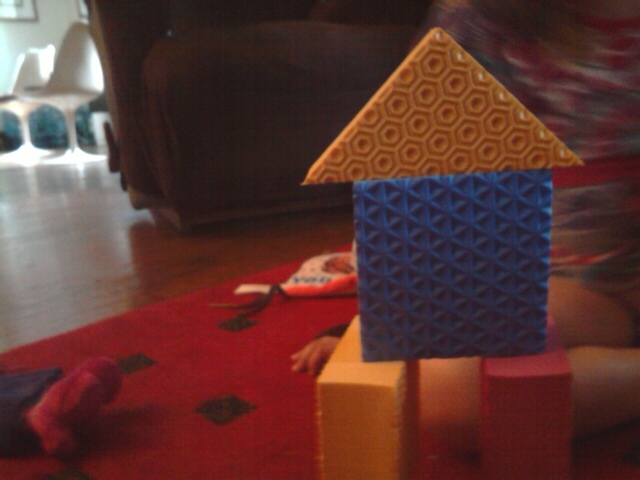 Today, I'm sharing my favorite building blocks, though to be honest really only Kay builds stuff at our house. The other two kids just tell her what to build for them- sometimes going as far as to draw detailed blueprints - which as you can imagine, both delights and infuriates me. 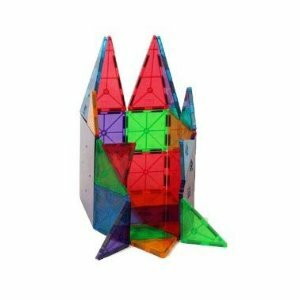 Magna Tiles - These ingenious magnetic tiles from Valtech can be put together to make patterns and designs, houses, boxes or whatever else your kids imagine. Great for ages 2-10. $46 for 32 pieces; also comes in 100 pieces for $115. Ages 3 to 10. Tegu Blocks - These blocks are also magnetic, and like the magna-tiles can be used by kids to build whatever they want in endless possibilities. These blocks have a great smooth feel, and come in great neutral and pastel shades. 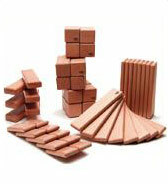 The Tegu Original Set in natural is $125 for 52 blocks, in an assortment of four shapes. Ages 3+. 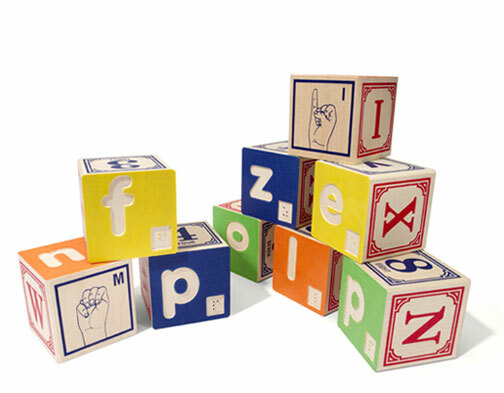 Uncle Goose Blocks - Made from sustainable Michigan basswood, these classic ABC blocks are handcrafted and available in a variety of languages, from Dutch to Arabic as well as in Braille and Sign Language, all sets are $37. Merry Christmas Blocks pictured at top are $22. Ages 2+. 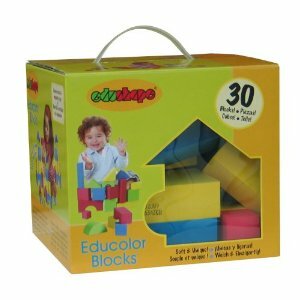 EduShape EduColor Building Blocks - These foam blocks are easy to grasp, and sturdy enough for even the littlest builders to stack with success. Set of 30 blocks is $19.99. Ages 1+. 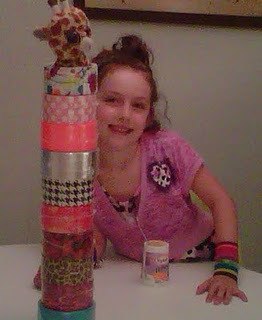 And what kind of non-commercial gift guide would this be if I didn't point out that anything can be used as a building block - of late, Kay's building material of choice is her beloved Duck Tape. ﻿All the products in my holiday gift guide do not have licensed characters, batteries or a focus on being good for "a boy" or "a girl." All the products also have in common that I sorta want them for myself. 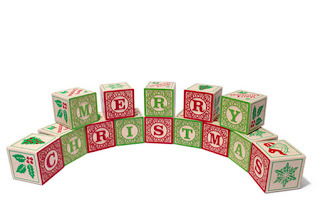 I'll be back on Monday sharing my picks for great wooden toys. Disclosure: All purchased myself, with the exception of some of the Duck Tape which was provided to me for purposes of furthering my addiction review. My husband REALLY wants magna tiles for our son. I'll let him know you recommended them and that prompted me to give the okay. they are a great toy - we have the 32 piece set, but personally i would just go for the 100 piece even though it's a lot of money b/c they really are that great. Great choices. Love this idea for a gift guide. I felt kinda bad picking girl vs boy stuff bc I truly feel kids should play with whatever their hearts desire.